Imagine a typical Tuesday night in suburban Rohnert Park. It's sleepy, quiet and dark, but inside an unassuming recreation center, energy is bouncing off the walls. Literally. The soundtrack is joyful screams, grunts of disappointment and the chaotic and rhythmic bouncing of a dozen ping-pong balls. But here, no one calls this game ping-pong, if they're serious about it. 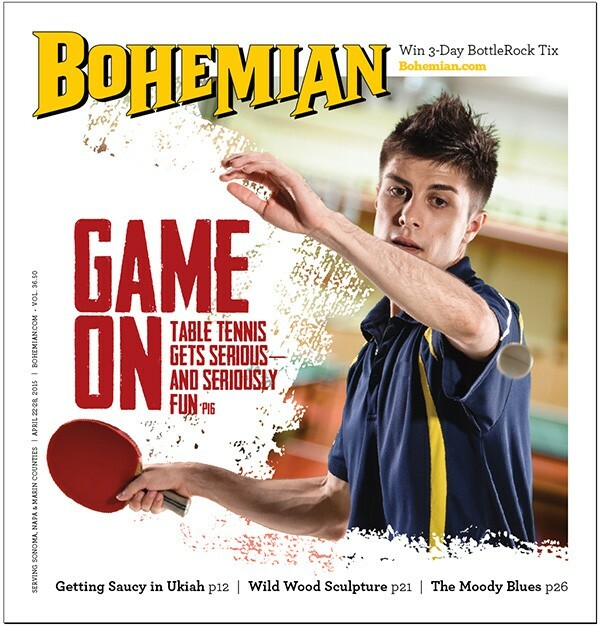 This is the Santa Rosa Table Tennis Club, a charming underground venture that has flourished for more than a decade. Five to seven tables are decked out inside the gymnasium-like space, each section surrounded by unrolled sheets of cardboard, meant to prevent the pesky white balls from bouncing too far and wasting the players' time. The premise is simple: drop by, pay $5 for the whole night, receive a paddle and wait for a smiling club member to summon you to a challenge. The person who will welcome you and give you a paddle, however, looks life Gandalf from Lord of the Rings. But as you learn, nothing in the world of table tennis is the way it seems. 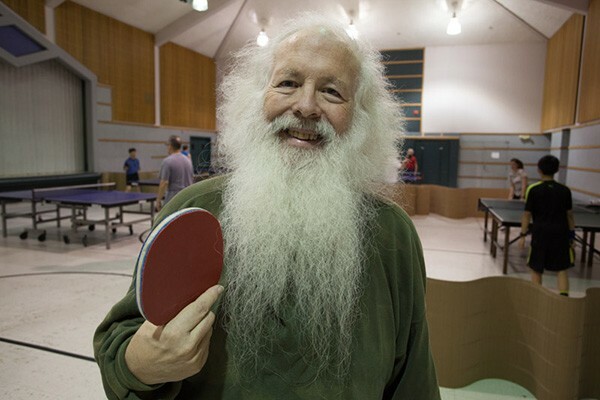 The Gandalf lookalike, 72 years young, is David Kent, former anesthesiologist and a table-tennis guru. Kent has a tip and a comment for anyone who shows up, everything from suggestions on improving posture to elaborate explanations involving physics, gravity and magic. He grew up in California and started playing table tennis with his dad around the age of 10. In the '60s, Kent coached table tennis in Berkeley, then ventured off to serve in the army and later went to medical school. In the late '90s, he rekindled his romance with the sport and became a certified coach with the North American Table Tennis Association. Kent relocated to Sonoma County and coached at Sonoma State University, serving as the "only certified coach from here to Oregon." KING PONG David Kent heads up the Santa Rosa Table Tennis Club. In 1997, a colleague from SSU left for Sacramento and passed the small tennis club he established in Rohnert Park to Kent. Kent now rents the space directly from the city and runs the club twice a week, Tuesdays for tournaments and Fridays for freestyle games. "We're not a club for beginners," he stresses from his corner chair, where he watches the players religiously. "It's not a school either; it's a club for people who know how to play already." Having said that, show up with anything but embarrassing skills and Kent will gladly demonstrate a trick or two, while some of the more experienced players might invite you for a game and some informal coaching.